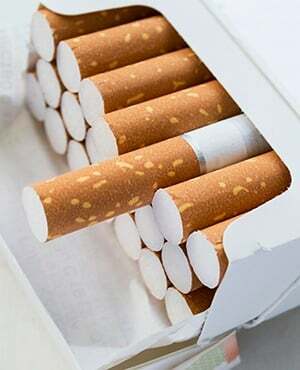 Allegations that the SA division of British American Tobacco SA (BAT-SA) owes the SA Revenue Service (SARS) R143m due to "fraud and tax evasion" are "totally inaccurate", Francois van der Merwe, chair of industry body the Tobacco Institute of Southern Africa (Tisa), told Fin24 on Sunday. He was responding to an article in the Sunday Times, which stated that the tax agency wrote a letter to BAT-SA, dated October last year, which "alleged contraventions were discovered after a SARS audit". BAT-SA also denied the claims in a separate statement. "We don’t owe any money for underpaying tax. We are, in fact, owed money for overpaying. That is why we are due this R30m rebate," said BAT-SA in a statement issued on Sunday afternoon. According to the Sunday Times, the revenue collection agency is of the view that BAT-SA received undue rebates from SARS when it reprocessed millions of cigarettes. BAT-SA is one of 10 members of the Tisa. "BAT is a legitimate company, paying all its taxes, the biggest excise contributor in the tobacco industry and an accredited member of Tisa, which represents the legal (tobacco) industry," Van der Merwe told Fin24. He questioned the source of the allegations - a leaked document, adding the aim may be to cast doubt over legal companies and "distract the attention from the real problem, which is the illicit trade in the market, robbing SA of at least R8bn in taxes this year". Tisa commissioned research into the market and, according to Van der Merwe, the results revealed that local illicit manufacturers are defrauding SARS of R8bn by not declaring all their production. It further revealed that one such company, is responsible for 73% of the total illicit trade. "This is the real story and not the attempt to paint a bad picture of BAT, which does not form part of any illegal conduct," said Van der Merwe. BAT-SA announced in a statement issued on Sunday afternoon that it will commit all of a R30m SARS rebate, which it claims it is owed by the revenue agency, to the #TakeBackTheTax initiative, fighting the illegal trade in cigarettes in SA. According to BAT-SA, it collected and paid more than R9.1bn in taxes in South Africa last year and expects to receive the rebate from SARS for overpaid taxes "shortly". SARS, in a statement on Monday, said it is not in a position to divulge specific information and details on the affairs of taxpayers.